Prof. Jayasankar Subramanian’s work to preserve fruit from rot in India was featured in a May 4 story in Charting Change, a series about innovative projects in the developing world produced by Canada’s International Development Research Centre and Canadian Geographic. Subramanian, a professor and agricultural biotechnologist in U of G’s Department of Plant Agriculture, said 40 per cent of India’s produce is lost to spoilage on the farm. He’s part of a U of G team working with researchers at India’s Tamil Nadu Agricultural University to find ways of using a natural substance called hexanal to slow ripening and get more fruit to market. Preserving fruit longer will help ensure stable pricing and more flexibility for packers and shippers, he said. 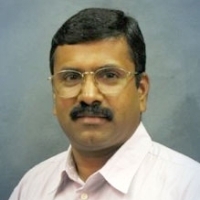 Subramanian studies fruit breeding, biotechnology and post-harvest produce.